Why invest in the best dehumidifier you can afford? There are several good reasons. Perhaps your house suffers from condensation, which leads to the growth of mould and mildew? Maybe you want to dry washing fast, and are looking for a more energy-efficient alternative to tumble dryers? Or, are you mid-renovation and after an appliance that will speed up the drying of paint or plaster. Perhaps you've had a flood and need to dry out a carpet? Whatever, a dehumidifier is an appliance that you'll find really useful. 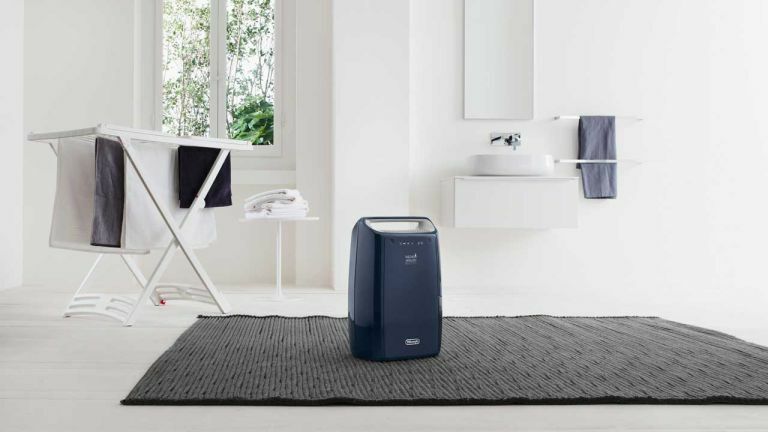 We've compiled a list of the best dehumidifiers, from budget to hi-tech, eco-friendly and basic models. Take a read of our cleaning sourcebook for the 50 best home cleaning essentials, or find more home appliance buys on our dedicated hub page. What is the best dehumidifier? In our opinion, we think the best dehumidifier is the electriQ 12 litre Low Energy Dehumidifier. It's great for average-sized homes and also low energy, as well as featuring an antibacterial 12 litre tank, a timer, and it's anti-spill. Poor ventilation is the main reason for purchasing a dehumidifier. The majority of households regularly shower or bath, cook and wash clothes, all of which use lots of hot water that creates steam. If there's no way for the moisture to escape your home through windows or vents, then condensation and damp begins to build; this is where the best dehumidifier helps out to prevent and reduce this happening, as well as remove excess moisture from the air to help you dry your clothes in your home. Consider the specs below when buying a dehumidifier. Not to be confused with a humidifier, which does the opposite to a dehumidifier and adds moisture to the air in your home, there are two different types of dehumidifier you can buy: a compressor ( sometimes known as a refrigerant) or a desiccant. Compressors can remove a larger amount of moisture per day and are cheaper to run. However, desiccant dehumidifiers work better in colder temperatures and are quieter than compressor models. Dessicant dehumidifiers are usually smaller and lighter than compressor models. The extraction rate you're looking for really depends on where you live and what you're using the dehumidifier for; however, in the UK, you can aim for one that can extract between 1 litre and 2.5 litres a day. The figures quoted below are litres per day. The dehumidifiers in our list range from 1.8 litres to 4 litres; the tank size you'll need will depend on a) whether your dehumidifier be on all day long; b) whether you're at home to empty it periodically; c) what level of humidity you're dealing with; d) how much space you have. If you often hang your clothes to dry around your home, opt for a dehumidifier which has laundry mode. It'll bear in mind the additional humidity from your wet clothing, and it'll reduce the time it takes for your clothes to dry. Win win? Another useful add-on for your dehumidifier, although not essential, is an ioniser, which purifies air by removing dust, bacteria, pollen, smoke and more. Suitable for homes with up to three bedrooms, the electriQ 12 litre Low Energy Dehumidifier is up to 40 per cent cheaper to run than a standard dehumidifier. It has UV sterilisation built in to get rid of pollen, smoke, dust and allergens, and there's also a laundry mode. On the front of the machine there's a coloured ring, which will light up green when the humidity in your home is just right, orange when it's above recommended levels and red if it's too high, so you know when to use the machine – or not. The 4 litre tank is antibacterial, so you needn't worry about mould growing in there, too, and once it's full, the machine will turn off so it won't overflow. An affordable all-rounder, and our pick of the best dehumidifier you can buy. The best dehumidifier choice for those who don't have a tumble dryer or like to let their clothes air dry in their home, the De'Longhi Tasciugo AriaDry DEX16F can even be used in a chilly utility room or garage, if that's where your washing is dried. With handy FrostProtection, you'll have no worries about the water in the tank freezing when the weather gets cold. The tank holds a generous 2.1 litres of water before it needs emptying, and it's super quiet at just 37dB. It has a handle and is pretty light at just 9kg (when empty), so you can easily move it around if you're drying out various rooms. Small yet still practical, this 10 litre dehumidifier from MEACO is ideal for any size home. Its simple three setting operation makes it a user-friendly choice, it will turn off once full, and has a transparent tank so you can see if it's near its limit. It is also simple to drain, whether manually or through continual drainage via a hose. Standing at just under 50cm tall and under 20cm wide, it's the perfect size to hide away. Its filter is designed to remove all allergens and pollutants from the air for a healthier and cleaner atmosphere while also removing excess moisture to reduce mould, condensation and other damp related problems. This dehumidifier also features a laundry mode, making it our top pick of the best dehumidifier for smaller homes as it ticks all the boxes although it's smaller than other models. Best dehumidifier for the planet: eco-conscious but still want to remove the excess moisture from your home? Want peace of mind and a damp-free home? The Ecoair DD122FW desiccant i the best dehumidifier for you, as it has an extraction rate of 7 litres and a tank capacity of 2 litres; there's an indicator to tell you when the water tank is full, and auto shut-off to avoid overflowing; the silver filter will kill bacteria on contact; and, when on low fan mode, it runs very quietly, just 34dB. With a power consumption of 390W to 640W, this dehumidifier is the best pick for those who are eco-conscious. There's the option of continuous drainage with the 1m hose (supplied), plus a built-in heater. This efficient dehumidifier is great for those who just want a quick, cheap fix to the damp problem in their home. While it doesn't have the added functions of laundry mode or an air purifier, at this low price, you can't really complain. Despite being a budget buy, it has a decent extraction rate. It's also easy to move from room-to-room thanks to its carry handle. It's also worth noting that it has auto shut-off so when the tank's full the machine will stop to avoid it overflowing. The filter can be removed and washed for easy maintenance. A great budget dehumidifier and one of the best dehumidifiers you can buy. Dehumidifiers vs tumble dryers: which are best?